Upon the reservation there will be a payment of 50% of the whole reservation. This is not refundable and changes on the reservation have to be reviewed case by case. 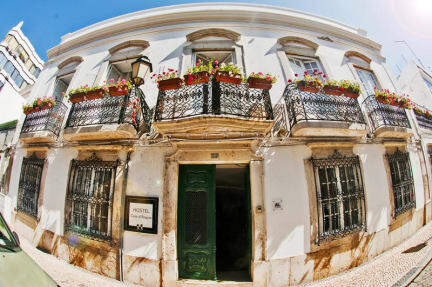 A traditional Portuguese town villa set in the beautiful, sunny town of Faro.The capital of the Algarve has much to offer and so do we. Where do we start? Well, our guests are constantly reminding us that we have one of the best hostel atmospheres they have ever experienced. Many of our guests are now our friends who often come back to stay with us when we have our legendary 'Sangria/ Barbeque Nights'. Our staff will blow you away with advice and hospitality 24 hours a day, we really do want you to feel at home here and we know you will. What can you do in Faro? Go for a bike tour on the Natural Park - Ria Formosa and watch wild flamingos and the salt fields on your way to the beach. We rent bikes also and can even offer a tour map of our own custom trails for walking and biking. Go to our Old Town with many historical landmarks or browse our many boutique shops and shopping centers. Don't miss our fantastic dinners that all the guests praise so much. Many have considered they had the best food of the whole Portugal trip. Everything is prepared on site by the chef who you can stand and watch prepare your food. Very reasonably priced and nice big platefuls. Our custom beds allow you to sleep comfortably and relaxed, thanks to our amazing mattresses and funky design. Power plugs and reading lights for every bed in every room, en-suite rooms also available. You gotta come here to Faro to check out our lovely home. So much of our guests extend their stay and we want to show you why. Sunny Faro awaits your arrival and so does the Casa d'Alagoa.